HOLY COW, WHERE DO I EVEN START?! At the beginning of this all, I thought I would just write most of my journal entries in my e-mails, nut now I'm realizing that"s unrealistic because I write pages everyday. There's so much that goes on and so I'll do my best to say what's been going on without blabbering on... we all know I do that. When my family dropped me off, I felt like I was walking in to Hogwarts or something as I was in tears walking around with my host. I couldn't believe I was there. 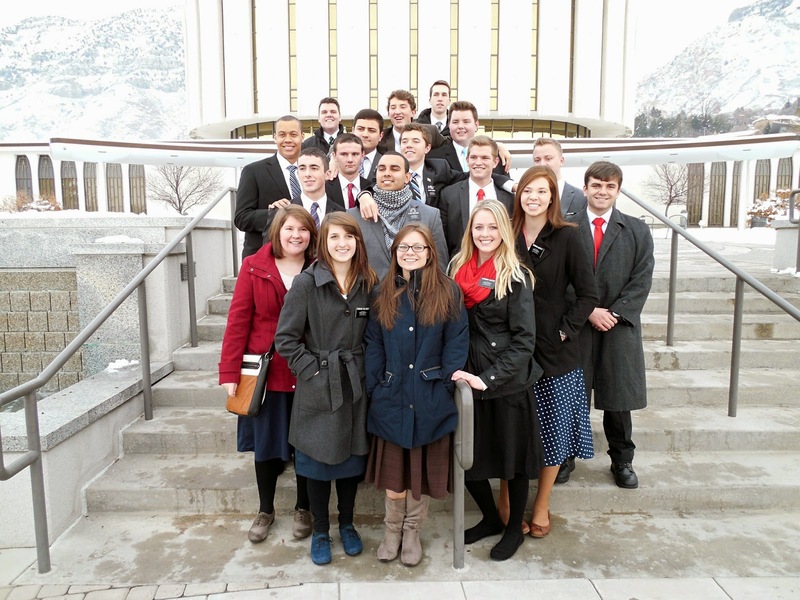 Everyone that I would pass would say "Welcome to the MTC!" and I'm thinkin, do I really look that scared that they know I'm new?! Then I realized I had a orange dot on my name tag to show I'm a newbie. 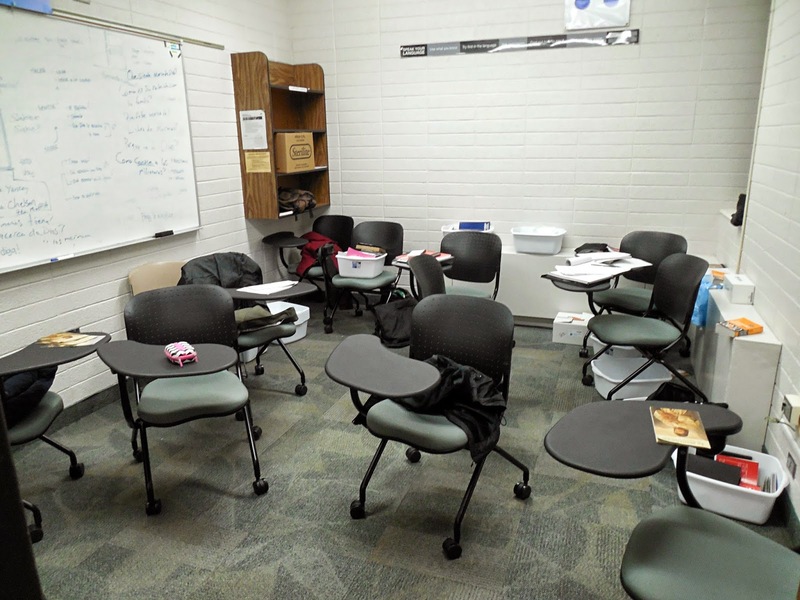 After dropping off my suitcases, they took me to the classroom where my teacher would just talk to me in Spanish. Way to overwhelm me some more! He's a super nice guy, but will rarely talk to us in English. I would just blank stare him an he still wouldn't talk to me in English...great! They loaded us with books and study materials. I met my companera and roomies, I love them all! 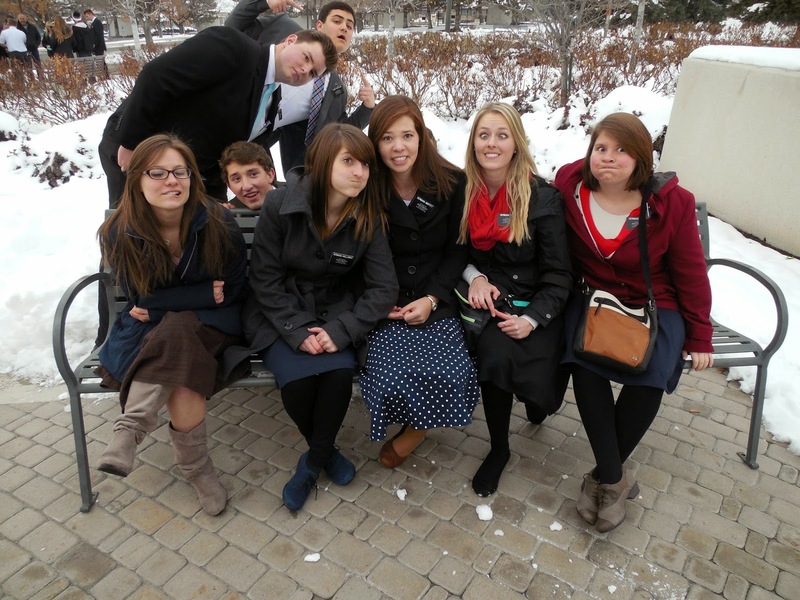 Hermana Yancey (shan-see as you would say in Argentina) is my companera, she's form Cali! She is so funny, we laugh SO much, we feed off each other's humor, and get along real well. The other companionship are a trio because one of them is going to Arizona and her companion never showed up. 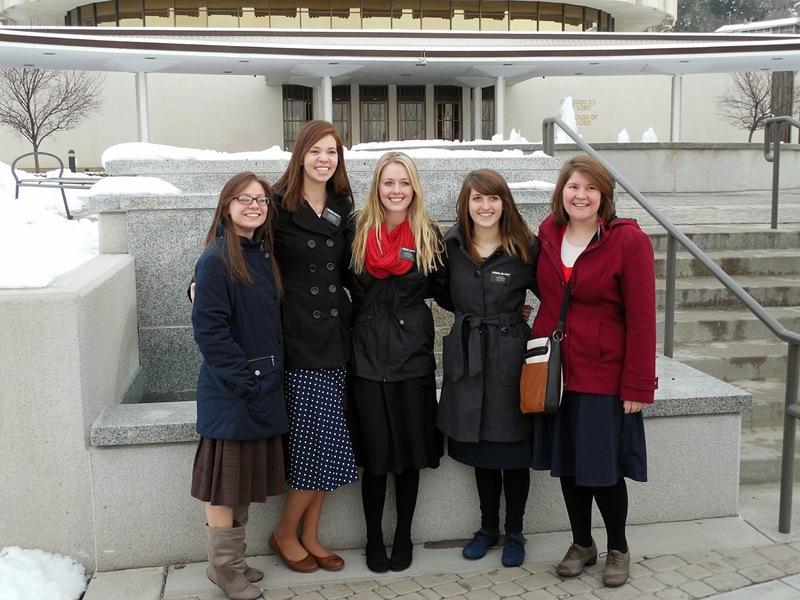 Her name is Hermana Moffitt from Idaho, Hermana Chelson from Tennessee, and Hermana Holloway (how-sha-way, we say) is from Iowa. And I'm like....yeah, I live across the lake. But whatever, it's cool to teach the Utah ways like what fry sauce is and all....I guess. They say the days are long and hard before Sunday. I didn't think that was true...I mean abra ca dabra, I magically speak Spanish after Sunday?! No, but honestly they were never that hard, but it definitely got a lot better after Sunday! The first night I couldn't sleep, I could hear the other Hermanas crying and I just listened to the fireworks outside (New Year's Eve) and celebrated in my head haha. I didn't get to sleep until like 2, but I sleep like a baby now!! We have a lot of classroom time. We split it up into companionship study, personal study, and language study. It's in increments of like 3 hours, for 2-3 times a day...yeah that's a lot for someone who can't focus!! But we usually only have a teacher for like 2 hours for our district of 8 people. So we pretty much teach ourselves. We learned how to pray in Spanish very quickly, and don't pray in English anymore. The food here isn't that great, but there's A TON of it....all you want and a lot of variety. I'm not used to eating only 3 meals (I usually eat about every 2 hours haha), so that has been different for me! I go to bed hungry and cold. 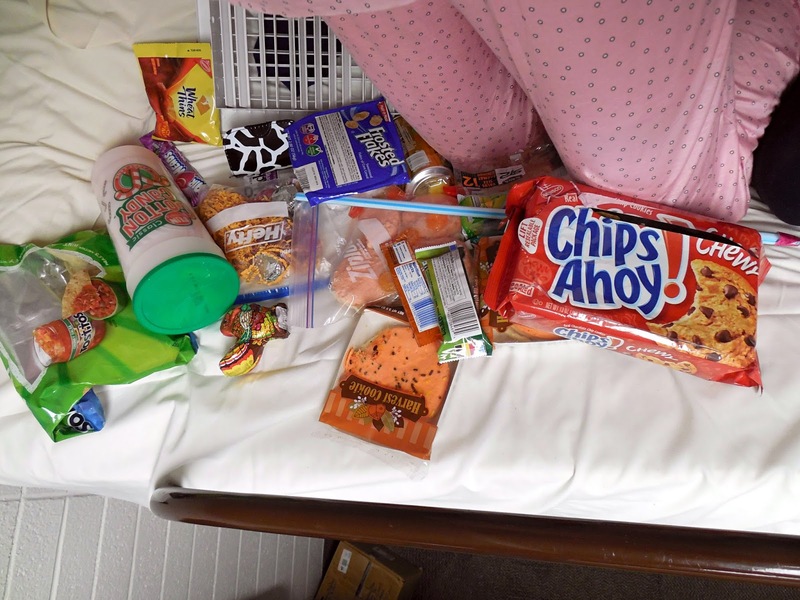 Our stomachs are a rumbling choir when we go to bed at night haha. 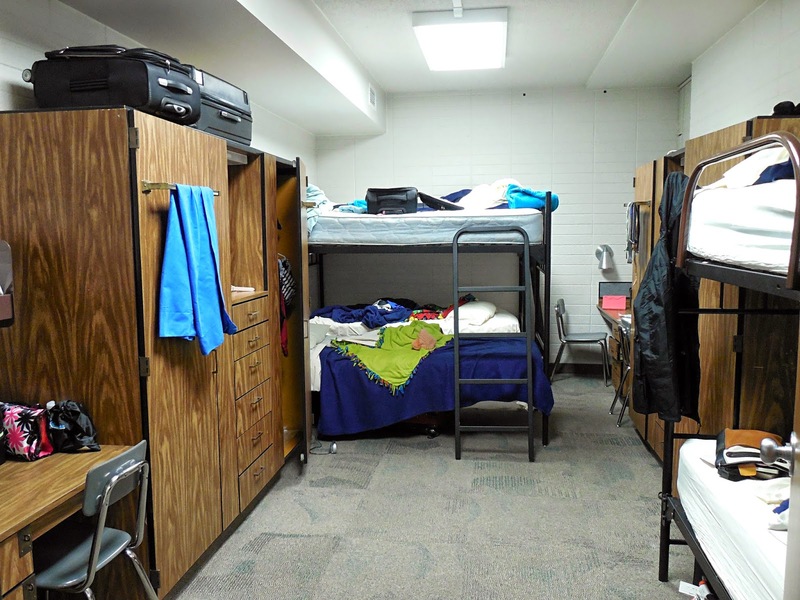 We have like military beds, mine doesn't even have a ladder so I have to acrobat up there all the time while my companion sleeps below me. I had to go scavenge for another blanket because I would wake up freezing! But is's all good, I pass out once I hit the bed now. After 2 1/2 days of being there, we taught Enrique (from Uruguay) in Spanish......that was pretty interesting to say the least! They really push you quick! He just moved to the states like 2 months ago...so I'm sure it's hard for him to not laugh at our Spanish. A lot of the investigators here aren't members or some are but act like they aren't. Enrique had a lot of questions for us, that was difficult! He doesn't have friends here. I told him he would find amigos at church and he went lol. I was called to he a Sister Training Leader after being there for 2 days, I was like uhhhhh I don't know a whole lot but okay! It has been a lot of fun, and I've learned a lot. We all walked to the Provo Temple as a zone, reminded me of going with my Mom and Bethie :) At sacrament I went up and bore my testimony in Spanish, it just came out and I was able to express what I felt. The gift of tongues is true! It really is... it's crazy, I already find myself accidentally mixing up my English and Spanish. OH NO, almost out of time. So I'll be quick. We taught another investigator named Adrian, except for they recorded our session this time. I kept looking at the camera like idk what's going on haha, how silly. But it's getting easier to talk to them. We had mission conference on Sunday, it was so good. Tuesday, we had a devotional. I'm in the MTC choir, and we sang "A Child's Prayer". The MTC presidents are being released next week so their grand kids sang the first verse, it was so cute. Anyway, life is great, I"m soooooo happy. I know I'm just blabbering on because I'm honestly just nervous about my first e-mail sesh lol. But I hope you all know I love you. I'm so grateful for the support. Be safe and happy!!! I can only send 3 pics at a time so there will be a couple emails, and also, please send letters at dearelder.com!!!!! I love them and thanks for those of you that have done that!! I love you! Adios!!! That's me having to jump on my bunk bed lol. It's not a big deal, but it's funny when I have to wiggle out of bed in the night or the morning and startle mi companera haha. 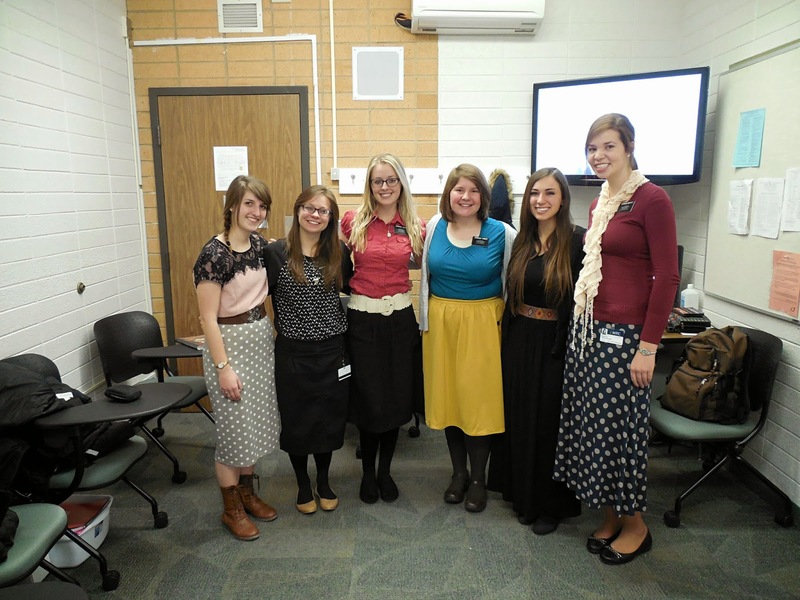 The second picture is me and my companion (she's the one in the yellow skirt), the other companionship, and the one in all black with long black hair was someone who was subbing that day for our teacher. And this is the food we found in the vent!! We found it after the heater had been on so it was all warm....but it was quite the treasure box I must say! It's left over from Elders that were there before (we're in the Elders building). Adios!